At the age of 36, the Navy selected Abrashoff to become Commander of USS Benfold – at the time, the most junior commanding officer in the Pacific Fleet. The immediate challenges that faced him on this underperforming Naval war ship were staggering: exceptionally low morale, high turnover and unacceptably low performance evaluations. Few thought that this ship could improve. In many ways, the USS Benfold was actually an extreme example of the same problems facing many organizations today. 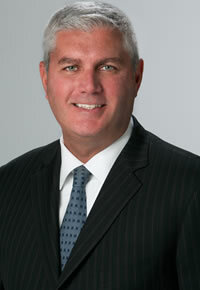 The solution was to establish a system of management techniques that Abrashoff calls The Leadership Roadmap. At the core of his leadership approach on Benfold was a process of replacing command and control with commitment and cohesion, and by engaging the hearts, minds, and loyalties of workers – with conviction and humility. “The most important thing that a captain can do is to see the ship through the eyes of the crew.” According to Abrashoff, The Leadership Roadmap is a practice that empowers every individual to share the responsibility of achieving excellence. “It’s your ship,” he was known to say. His former sailors to this day still remind him of it. Prior to commanding USS Benfold, Abrashoff served as the Military Assistant to Secretary of Defense William J. Perry. He also helped draft the air defense plan for naval forces in the Persian Gulf in 1990, coinciding with Iraq’s invasion of Kuwait; and served as the Executive Officer of the Cruiser Shiloh, where he deployed to the Persian Gulf in support of United Nations sanctions against Iraq. – President, Great Clips, Inc.